Hair - bouffant. Moustache - funky. Background - purple. 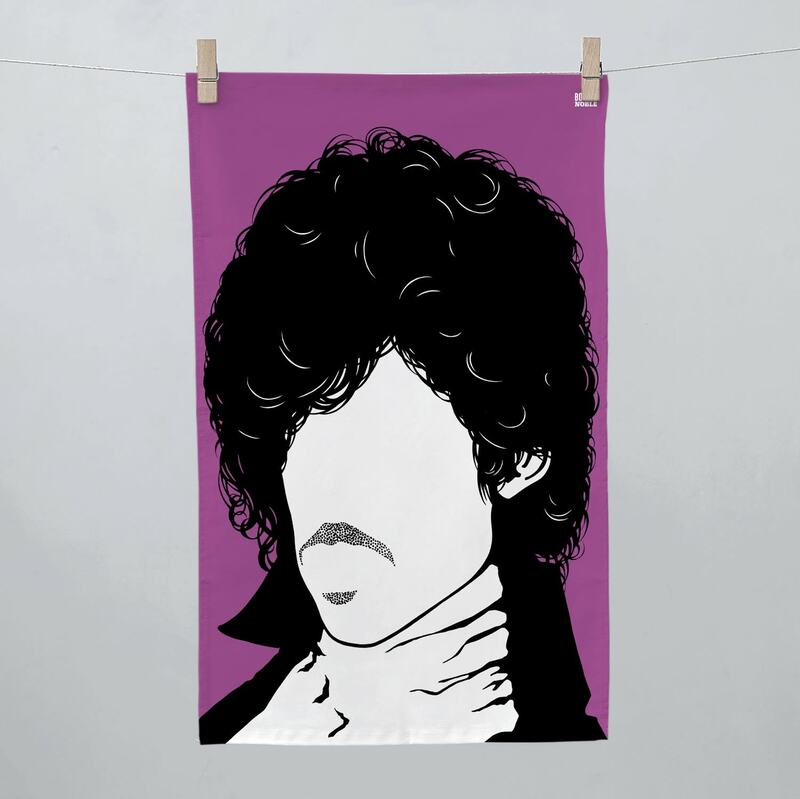 With barely any detail, this clever tea towel has us in no doubt this is a silhouette of the legendary Purple One himself, Prince.